Just when I think there's no way Deftones can do something different again, they do. Listening to the band's eighth studio effort, there's many spots throughout the album where it almost doesn't even seem anywhere near a Deftones song. Playing with new textures, layering, lyrical composition and delivery. It's so great seeing a band that's been around since the late 80's, had a record deal since 95' with 8 to 9 records under their belt and they're still taking risks and showing ambition in their music. Prayers/Triangles sets the tone with its alluring, drifting riff paired with the mysterious lyricism and vocals pulling you into Acid Hologram. Acid Hologram has a good contrast running slightly melodic vocals with the heaviness of the overall track. While the record is pretty heavy in parts, tracks like Phantom Bride and Rubicon show the band's more melodic side of writing. The title track Gore delivers a punishing blow with pounding drums, heavy dancing riffs and Chino's signature screeching screams. Then Phantom Bride soothes you, before giving you one more dose of heavy before she's done, bring you to the uplifting closing track Rubicon. Rubicon has a great message and as you listen, leaves you with an overall sense of happiness and uplifting making it a great closing track, in my opinion. One track I'd like to talk about is Hearts/Wires. I could definitely see this being the theme on soundtrack for a movie. Evoking a neon cityscape with smooth and wet textures. With the semi-synth introduction transporting you to an organic, constant shifting world filled with love and angst. The track also has a haunting quality about it, making it one of the most interesting tracks to me on the album. So many layers and emotions and visuals within one song. Overall, it's hard to categorize Gore singularly or even limit it to one genre. Same goes with most of Deftones' releases. The album has an otherworldly feel to it. It's filled with love, anger, melody and pounding instrumentation. It's haunting, alluring, mysterious and many other thing. It's just a very well rounded and balanced album and a great addition to the Sacramento band's catalogue. Each song stands on its own and I can go into depth of each one, but the best way I can convey it to you, get the album and listen to it. You won't be disappointed. The best part about listening to this album is knowing that this great band still sounds amazing. So don't write these guys off just yet, they aren't going anywhere. You can listen to Gore on Spotify, iTunes and almost anywhere music is streamed. Get your copy anywhere music is sold. Oh and one more thing. You can "Gore-ify" your pic for Facebook or any other social media of your choice. Check out mine below (the only kind of selfie I'd enjoy posting). 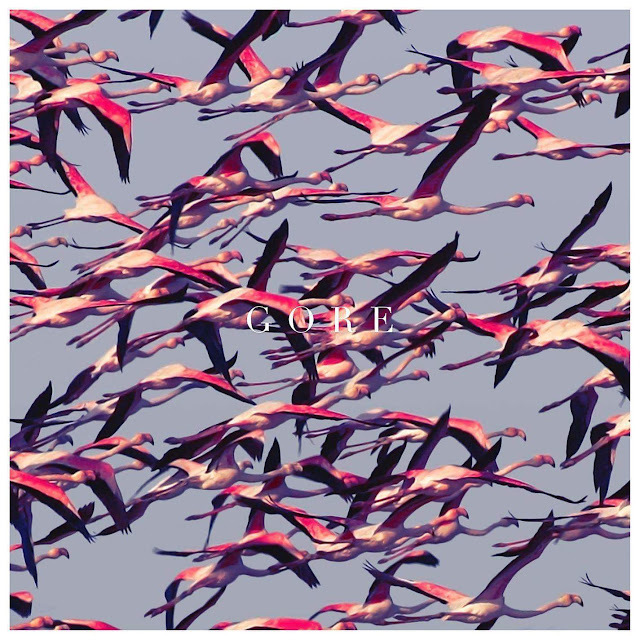 You can go to gore.deftones.com and create one yourself.